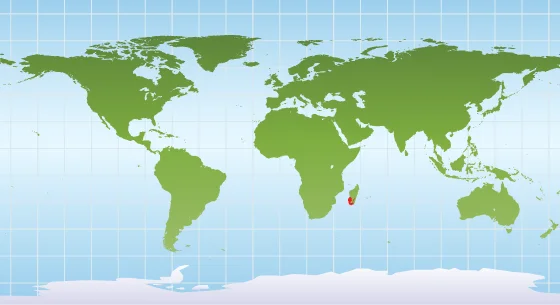 Found only in the southern part of Madagascar in the dry forest and bush, the ring-tailed lemur is a large, vocal primate with brownish-gray fur and a distinctive tail with alternating black and white rings. 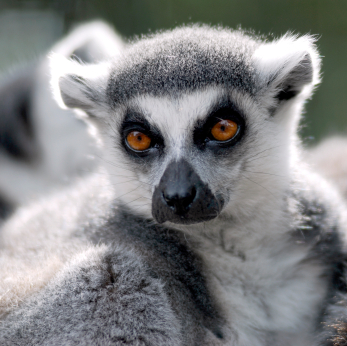 Aside from using visual cues, ring-tailed lemurs also communicate via scent and vocalizations. They mark their territory by scent. 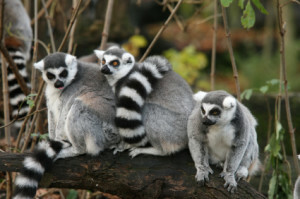 A male lemur will also engage in stink fights during mating seasons, wiping his tail with the scent glands on his wrists and waving it at another male while staring menacingly. Eventually one male will back down and run away. 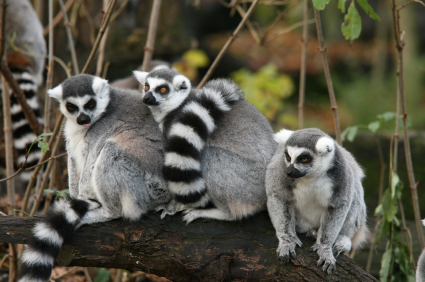 The ring-tailed lemur is found only in the southern part of Madagascar in the dry forest and bush.